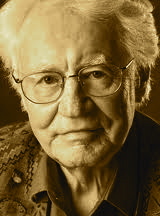 A Year of Being Here: Robert Bly: "The Third Body"
"The Third Body" by Robert Bly, from Eating the Honey of Words: New and Selected Poems (HarperCollins, 1999). 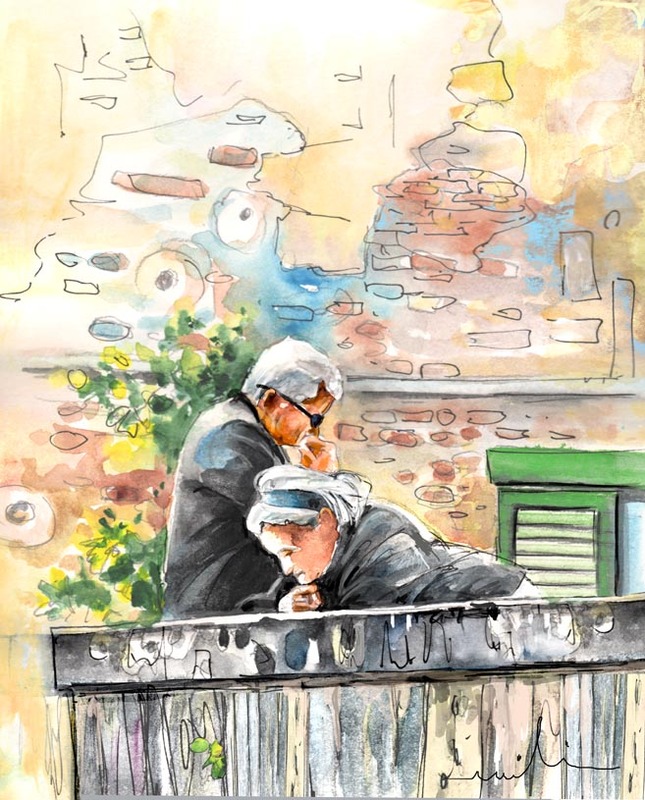 Art credit: "Together Old in Italy," painting in watercolor and ink by Miki de Goodaboom. Inspired by a couple the artist observed in Montepulciano, Tuscany.